Nowadays, patients are faced with higher deductibles and copays while insurance companies continue to trim down their financial responsibility by offering attractive reduced monthly premiums. This means that patients are becoming liable for a much larger portion of their hospital bills than what has ever been seen in the past. Unfortunately, when faced with a high bill, many patients avoid any attempt at a financial conversation because they feel like they have no reasonable option to pay the balance in full prior to the account going to collections. As an example, why would a patient with limited financial means pay towards a medical bill when the service has already been provided and the eventual end result will be the same; collections. How do you connect with those patients as early in the revenue cycle process as possible to provide education and insight to the many options available prior to that decision being made? How do you ensure that each patient is making a decision based on the real options available to them rather than on an incorrect assumption of what is likely to occur? Helping patients meet their financial responsibilities by working with them to set up doable payment plans builds a long-lasting relationship between the patient and the hospital. It also helps ensure that a patient will happily (and likely) pay their share of the bill. Typically, most patients genuinely want to pay their hospital bill, but they often require affordable payments to pay the necessary amount. At The Midland Group, we work closely with hospitals and patients to ensure that all bills are satisfied to the greatest possible extent. The Payment Plan created at The Midland Group is a managed arrangement that is completely managed through the Midland Payment Plan team. With the Payment Plan, the hospital can gain a return of up to 100 percent on the principal amount when a patient selects an interest bearing plan or will pay a contingency fee on each dollar collected on short term plans or when payments are made in full. By fairly managing the Payment Plan, the patient can effectively pay off their debt and the hospital achieves a steady cash flow month after month. It becomes a winning situation for everyone involved. Patient Benefits: Most patients are extremely satisfied with The Midland Group Payment Plan because it gives them the opportunity to effectively pay off their debt even if they live on a tight budget. We will set a payment due date that works for the patient and a set monthly payment amount that allows the patient to make monthly progress towards satisfying their hospital balance. Most patients welcome the negotiations and the opportunity to pay off their debt in a manner in which they had active input. Patients will also not have to face any negative marks on their credit report should they fall into default. At that time, we simply return that account to you for further collections activity. Hospital Benefits: The hospital benefits from receiving the money owed to them without having to pay any substantial administrative fees during the collection process. Simply put, our clients only pay when we are successful. By accepting a payment plan, the hospital is likely to receive full payment with little or no financial losses. How Can You Implement and Promote Patient Payment Plans? One thing to understand about The Midland Group is that we are not a collection agency. We are simply a patient advocate based organization that works closely with hospitals and their pateints to gain a favorable resolution for all parties involved. Do you have more questions regarding our patient payment plan? Click here to go to our Patient Payment Plan FAQ page. Contact us to learn about our many services. We will be happy to explain our business practices. We gladly work closely with not only hospital staff but also with patients for optimum satisfaction. Contact us to learn about our many services. We will be happy to explain our business practices. 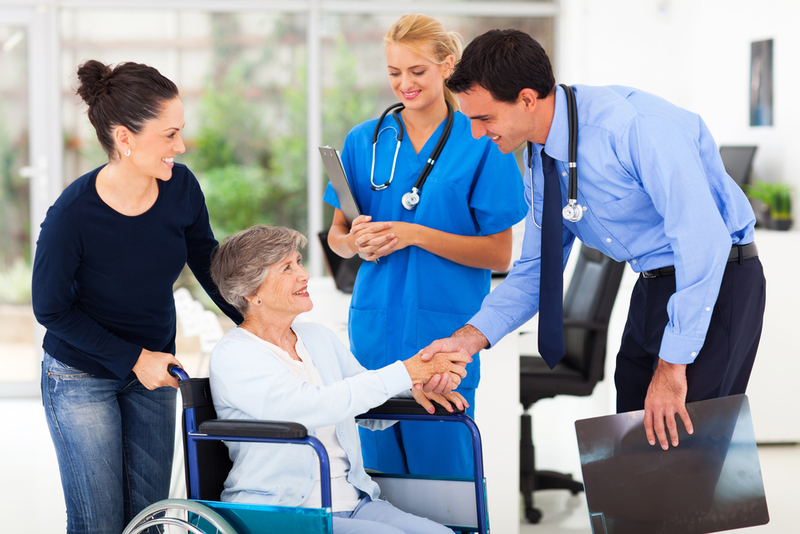 We gladly work with not only hospital staff but also with patients for optimum satisfaction. Charity assistance can benefit not only the indigent patient but also the hospital. The Midland Group can help navigate the laws and regulations that govern charity care to assist the hospital and the patient.